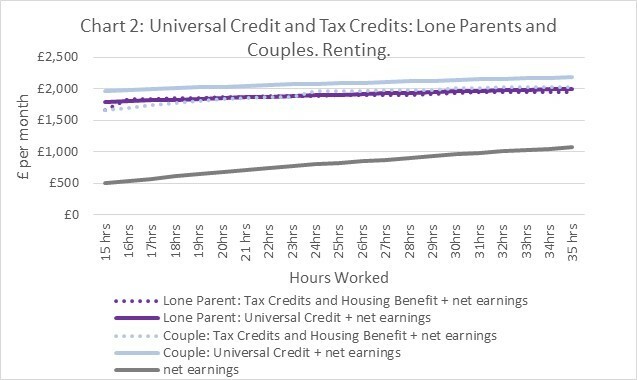 Image: Chart 2: Universal Credit and Tax Credits. 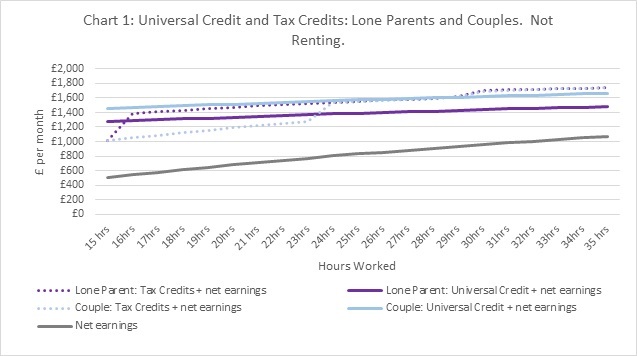 Lone Parents and Couples. Renting. 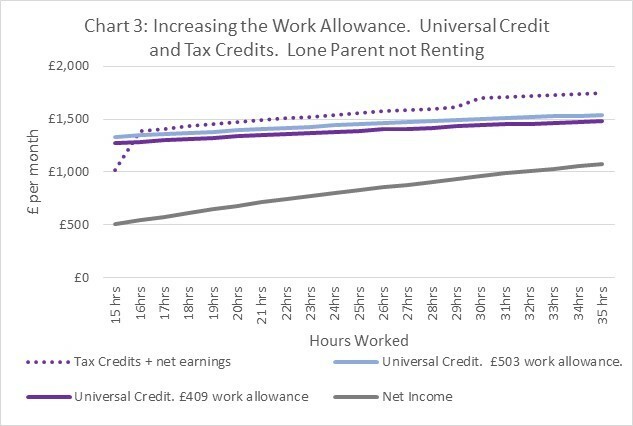 Image: Chart 3: Increasing the Work Allowance. 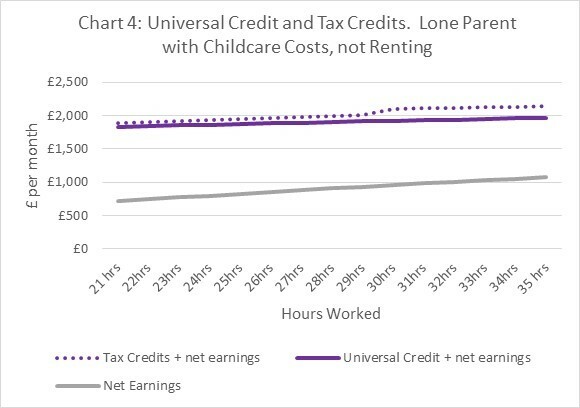 Universal Credit and Tax Credits. Lone parent not renting. Public and Commercial Services Union. (2018). Written Submission. [No description]. Child Poverty Action Group. (2018). Written Submission. [No description]. Low Income Tax Reform Group. (2018). Written Submission. [No description]. Church of Scotland. (2018). Written Submission. [No description]. Shelter. (2018). Written Submission. [No description]. Aberdeenshire Council. (2018). Written Submission. [No description].